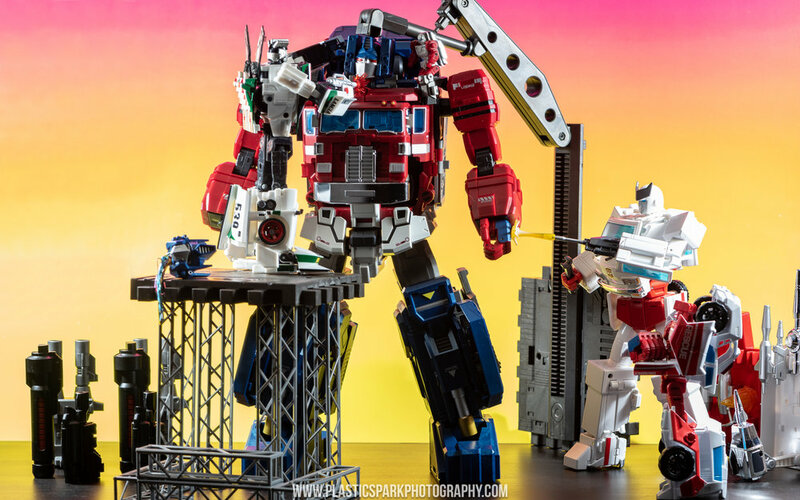 In 2017 Fans Hobby’s Power Baser provided fans with an amazing rendition of Ginrai, and his subsequent upgraded form of Super Ginrai in Masterpiece scale. Fans Hobby has now made another option available for fans who prefer the Marvel rendition of the character as Power Master Optimus Prime. A whole new optional set of hands and replacement head styled after the Marvel Comics design! The head is incredibly large and bulky, with a painted silver faceplate and bright crimson eyes. While this may look a bit out of place at first it does match the source design to perfection. Fans Hobby also went out of their way to provide a set of new hands for Power Baser’s original color layout for those who prefer the blue hand guards. 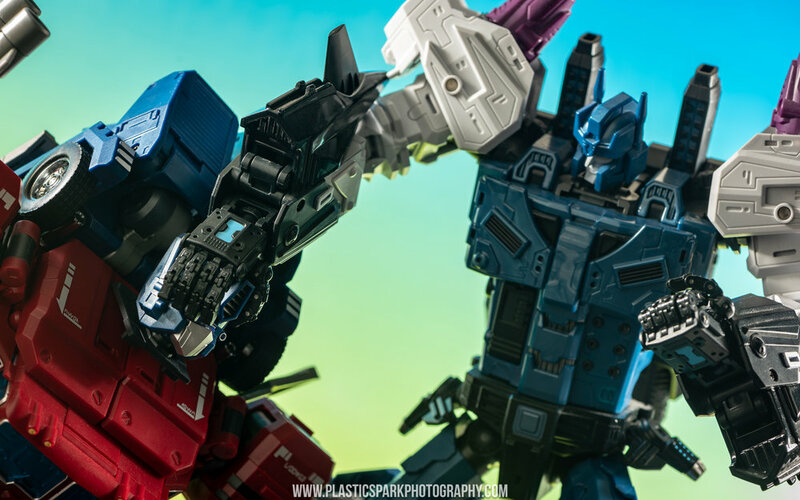 The new hands are far more dynamic than the ones included with the base figure as each finger is individually poseable with multiple points of articulation. These hands are the same design used on their newest release: MB-06A Black Power Baser. The hands themselves are very well built. There is still a small channel in the palm to hold the weapons so the weapon grip is not determined by the new fingers. I feel like the fingers are a little bit too long but my opinion changes depending on how I have them positioned. The fingers are all the same length which isn’t my preference. Going forward I hope Fans Hobby adjusts the fingertip lengths on future releases to provide a more natural looking hand. The sets are available for preorder from Fans Hobby’s website directly and the cost is very minimal. Click the links below to check them out and take a look at the gallery to see the alternate parts in action! A big thank you to Fans Hobby for letting me check out these upgrades prior to release. Make sure to let them know I sent you if you check out their shop!